We are delighted to announce that we have been shortlisted for a very prestigious Transform Europe Award. The global brand development awards recognise creativity and strategic thought, and place real emphasis on the impact of the work. 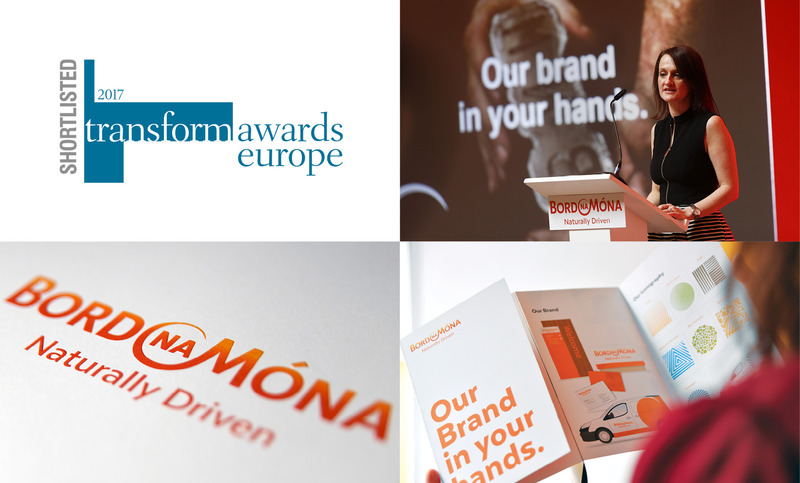 The rebrand of Bord na Mona has been shortlisted in the ‘Best brand development project to reflect changed mission/values/positioning’ category with four other global brands and the awards ceremony is being hosted in London on March 30th.